Begin in India’s giant capital Delhi, visiting Qutub Minar (a 73m sandstone and marble minaret), Mughal emperor Humayun’s tomb, India Gate and the Jama mosque, before travelling to Agra and seeing the world famous Taj Mahal. Take an excursion to the ancient city of Fatehpur Sikri and emperor Akbar’s palaces, before heading to Jaipur for the architectural beauty of Amer Fort and City Palace, making time to explore the Pink City’s arts and textiles. Next, venture into the desert and the sacred city of Pushkar, complete with its camel fairs. End your trip on the tranquil lakes of Udaipur, visiting its floating palaces and exploring its historic havelis. Starting from Delhi, begin by exploring the old city of Jama mosque and Chandni Chowk before travelling to Agra for the Taj Mahal, Red Fort and Mughal emperor Akbar’s mausoleum. Stop in Jaipur for the Amer Fort and intricate mirrorwork of the Sheesh Mahal, before escaping city life in Ranthambore National Park, where you can see tigers, leopards and hyenas. Continue to Bundi, once home to author Rudyard Kipling and inspiration for his book Kim, before floating on the lakes of Udaipur and sampling some traditional Rajasthani dance or folkloric music. End in the holy city of Pushkar, visiting its Brahmin temple and watching pilgrims dip in its holy waters. Start in Delhi, taking in its UNESCO World Heritage sites like Qutub Minar and Humayun’s tomb before travelling to the historic fortress city of Jaisalmer, a long-time trading centre for desert nomads. 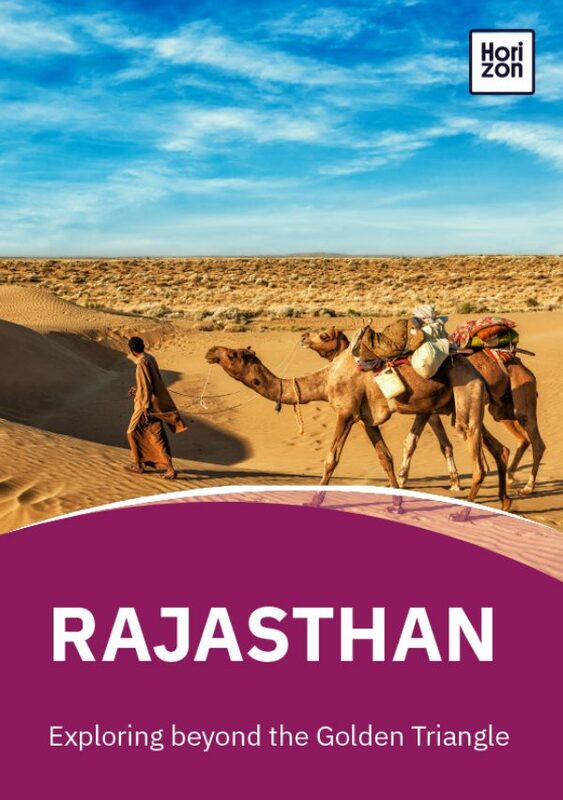 Make time to explore the Thar Desert, staying in overnight camps and experiencing village life, before starting your architectural voyage at the blue city of Jodhpur and its magnificent Mehrangarh Fort. From here, loop around the lakes of Udaipur, sacred Pushkar and cosmopolitan Jaipur, before leaving Rajasthan to see the Taj Mahal and Red Fort at Agra. End your trip in Varanasi, watching pilgrims spiritually cleanse themselves in the Ganges river and praying along the ghats.